No, this article is NOT just another re-hash of the great "Do cables sound?" debate, although that never-ending battle IS a fine introduction to its real subject and, just a few days ago, there was a cable war on FaceBook that would make a great place to start - especially since it was almost as fine a knock-down-drag-out as the "troll war" that had preceded it on FaceBook just a few days earlier. 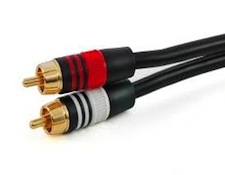 One of the comments made by the most aggressive of that cable debate's "anti-cable" participants was that: [Only the final ellipsis added] "Above a certain threshold of quality of a cable...... sonically things fail to matter. And that threshold can be achieved even with a cable under 30-40USD max..." The person who said that was a young man of twenty-two, who claimed to be (or at least gave the impression of being) a recording engineer or some other music industry professional, and who spoke with the insistence and authority only possible to the very young; the very ignorant; or the very inexperienced. The most amazing thing about what he said was that somehow he managed to miss his own point! Think about it: If "...above a certain threshold of quality..." ("30-40USD max") a cable "fail[s] to matter" sonically, then it must be that cables that fall BELOW that standard of quality or that price do (even in the opinion of that very skeptical young "audio professional") "matter" and do make a sonic difference. And, if that's true, then the whole claim that cables make no difference falls apart, but what difference do they make? It can't be something simple like "Under forty bucks some cables come with properly-wired connectors and some don't, but all cables above US$40 do have properly-wired connectors, so no improvement is possible" because if that were the case, two things would certainly happen: First, nobody would buy under-forty-buck ("UFB") cables without first testing them, and second, some enterprising business person (possibly even a twenty-two year old somehow-recording-or-music-industry type) would leap into that market void to make his fortune by offering UFB cables that DID have connectors that were always properly wired. It's not a quasi-dgital all-or-nothing on/off function that UFB cables may have termination or other problems and OFB ("over-forty-buck") cables don't. Other than actual toggle switches, practically nothing in audio or anything else actually works as originally conceived and designed in all applications. Speakers are the perfect example: When we say that a speaker system has a frequency range of 32Hz to 24,000 Hz, it's NOT that that system goes down to 32 or up to 24k and then stops dead. In fact, if it will make 32Hz, it will almost certainly also make 31; or 30; or even 19 - it's just that it won't do it as easily or at the same level of output, or with the same required amount of driving power as it would at 32. That's why frequency response specs are given as a range (+ or ― however many dB) instead of as a fixed rating, and why, when a low-priced small speaker system claims a range of 20 to 20,000Hz WITHOUT defining any limits, you ought to beware: It may very well be able to make those extreme frequencies, but it may do it at 60dB or more down from its 1kHz level. In cables or any other element of the HiFi chain, virtually all improvements are incremental, and the great all-(or even most)-at-once colossal changes ("Perfect sound forever") usually turn out to be illusory, or at least much more limited in scope than originally touted: As evidenced by the ongoing renaissance of analog, CDs WEREN'T the great sonic panacea they were originally claimed to be, but they DID absolutely eliminate LP "ticks and pops". Even when there IS a real toggle-switch improvement like CDs eliminating LP surface noise, that improvement likely applies only to that one particular problem, and the old adage "You get what you pay for" (or at least the more likely variant "If you don't pay for it you WON'T get it") still applies to all of a product's other aspects: Better CD players ARE better, and DO (with rare, if any, exception) cost more than CD players that, while they may be perfectly acceptable, are still less good. The Law of Diminishing Returns applies to cables, as well as to CD players and everything else. Notwithstanding the "Forty Buck Rule" proposed by that young unbeliever, fairly-priced cables generally DO get better as they get more expensive, but, as with everything, the AMOUNT of "better" that you get for each extra dollar spent almost always gets less as the total amount spent increases. Except for just one thing: Just as CDs were able, in one fell swoop, to eliminate LP noise problems (at least when playing CDs), there often DOES come a point where a massive change in the sound of a HiFi system ― the High-End ability to accurately present space and size, for example ― can come about from just a tiny improvement in the sound of that system's cables or other components. Think of it like focusing a camera, or like the way that removing just that last tiny excess fraction of an inch or millimeter from a plug that's too big can make it fit into a hole that was otherwise too small. All of a sudden things "click" and become "right" that had previously seemed grossly wrong. 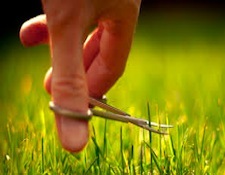 That's not to say that there won't still be problems, but at least what problems there are will be of some different kind and perhaps fixing some other small thing or things ― yes, at perhaps a large expenditure of money ― can make those right, too. Ultimately, just as the same song, played on the cheapest table radio and on the world's most expensive High End system will still have the same words, if more than just the "words" matter to you, then the only way to get all of what you want will be to get it, not just in big steps, but also in sometimes tiny, sometimes expensive small improvements, one at a time. You WILL have to "sweat the small stuff."